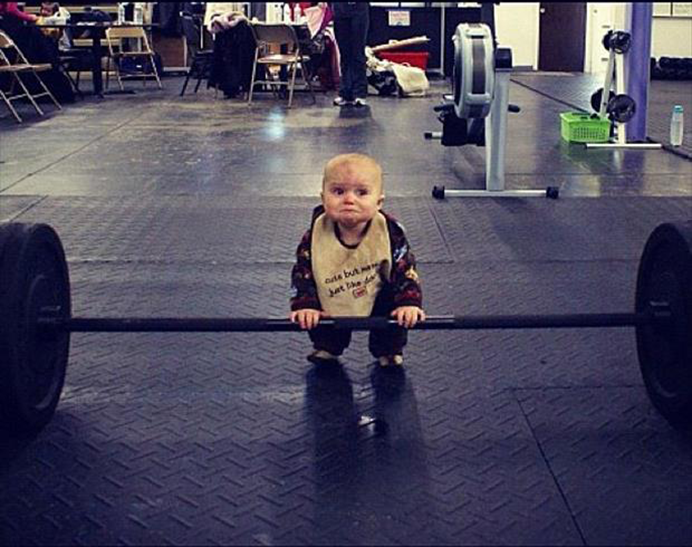 Diet and exercise brands get serious about winning new customers at the start of the New Year. Millions of Americans are making resolutions to eat better, work out more, and get in great shape. Gaining a new customer in January will pay out big in the long-term because many diet and exercise companies use subscription or membership payment models. 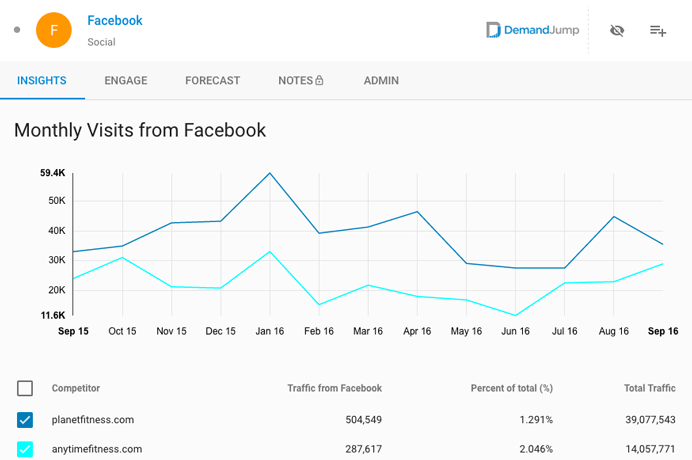 DemandJump took an investigative look, using our Artificial Intelligence Marketing (AIM) platform, at the specific strategies that successfully performed in the first quarter of 2016. We ran the data through treadmills of artificial intelligence and uncovered some significant insights that will have your content muscles bulging at the seams. The old saying “sweat more in training, bleed less in battle” could not be truer as companies make their final plans to pursue the ideal fitness prospects to achieve their 2017 goals. There is lots of opportunity for diet and exercise brands on social media. 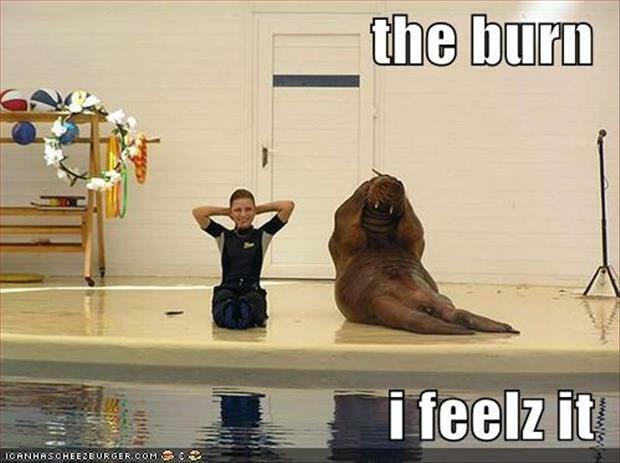 Fitness goal and accomplishments are heavily shared across all channels. 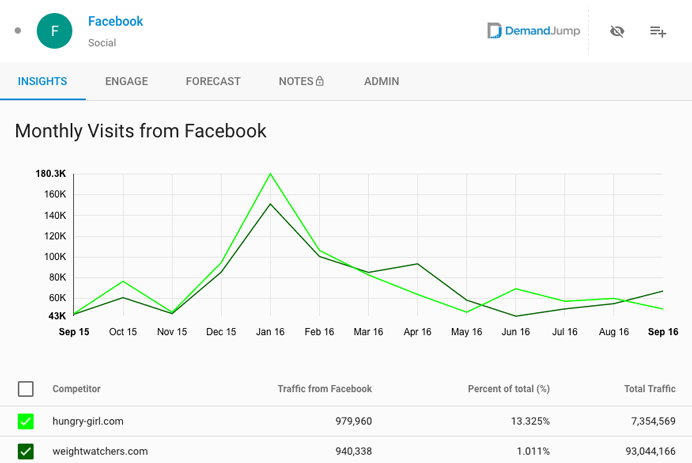 AIM (Artificial Intelligence Marketing) from DemandJump pinpointed Facebook as the largest traffic driver of all the social media channels across the entire Diet & Exercise space. Gyms like Lifetime Fitness, Planet Fitness, and Anytime Fitness showed peaks in January (up by close to 100% compared to the rest of the year for Planet Fitness in particular), getting anywhere between 1.3% and 5% of their total traffic from the social media giant. The data showed several gyms such as LA Fitness, Anytime Fitness, and Orange Theory to be underperforming on Facebook during Q1 of 2016. AIM showed that weight loss diets and healthy eating blogs performed even better on Facebook than gyms. Weight Watchers and Hungry-Girl.com received a combined 330K visitors from Facebook during the first month of 2016 (up well over 350% compared to the rest of the year). The data showed JillianMichaels.com and FreeDieting.com to be underperforming on Facebook during Q1 of 2016—each receiving less than .5% of their total traffic from the site. Facebook ranks as a top 5 referral source for diet and exercise companies, not only in January but throughout the entire year. Brands that are serious about maximizing revenue online need to consider beefing up their Facebook marketing strategy. These videos, originally made popular by Buzzfeed-owned Tasty, are all the rage on social media right now. In fact, During the last three months, Tasty’s Facebook videos have averaged 22.8 million views in their first 30 days alone. This could be a great option for diet and exercise companies to feature healthy, simple recipes. The videos aren't expensive or difficult to make, and the revenue upside is huge. Facebook Live has been generating quite a buzz recently. Gyms could capitalize on this trend by showing snippets of fitness classes, workout tips, and training sessions. Diet and nutrition brands could showcase recipes, healthy eating tips, and more. Consumers are always looking for tips, tricks, and hacks to a healthier lifestyle—especially at the beginning of the year. Where and how you publish is as important as the promotions themselves. Maximize targeted reach through sponsored content on Facebook and take advantage of this opportunity. With an informed strategy, it is simple for brands to win more customers through social media. Affiliate websites drive qualified traffic during peak promotional periods to diet and exercise brands. Last January, gyms like Planet Fitness successfully leveraged websites such as SlickDeals to drive revenue and new memberships. On the other hand, Gold's Gym, Lifetime Fitness, and LA Fitness are not doing a very good job leveraging strategic affiliate relationships to drive traffic and revenue. Gold's Gym, in particular, is receiving less than 1000 annual visits from all five of the top affiliates in the exercise space. On the diet side, several brands are harnessing the power of this trend. 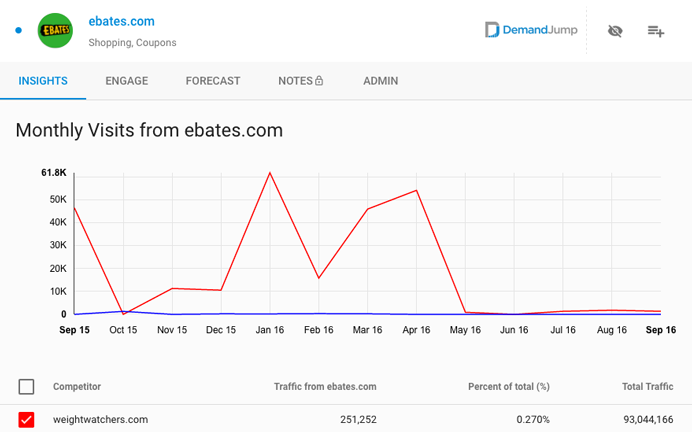 Ebates and RetailMeNot generated almost 100K combined visits to WeightWatchers.com, making these affiliate websites powerful sources of traffic during this important time of year. Many consumers look at the New Year as a fresh start. 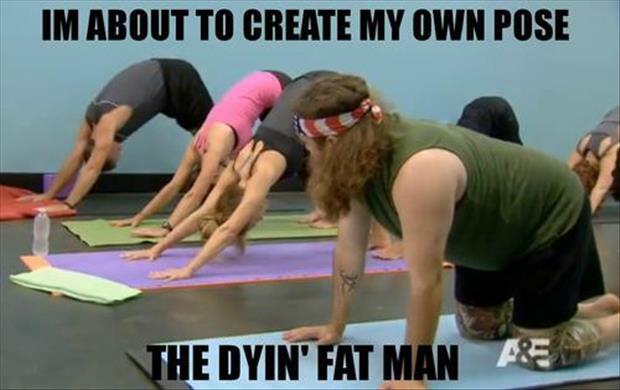 They are more willing to sign up for a gym membership or start a new diet program. Affiliate websites are a great channel to offer that 'too good to refuse' deal that provides potential customers the last final push they need to sign up. And since most affiliate programs are revenue share, it provides very little risk to the brand. In many cases, gyms and diet programs operate within a recurring revenue model. It’s likely worth it to offer discounts in order to sign on a long term customer. And as we've seen in a social environment like this, the customer is likely to refer a friend. Affiliate offers that many clubs are leveraging include fitness classes, personal training sessions, waived sign-up fees, free meals, special giveaways, or free subscription/membership upgrades. 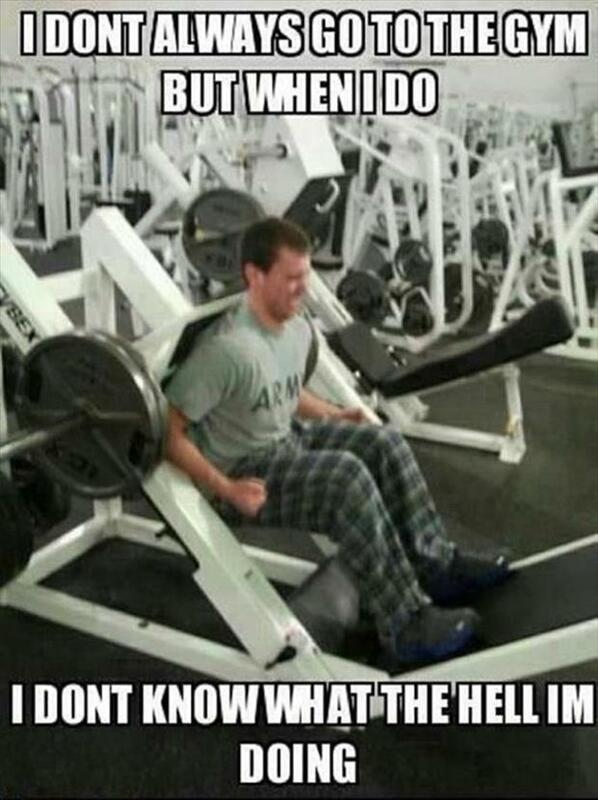 Tip: For gyms, location is a huge draw for consumers. Be sure to keep Yelp and YellowPages.com profiles up to date and compelling. Encourage current customers to leave positive reviews and consider paid advertising on these channels where possible to drive additional traffic and revenue. 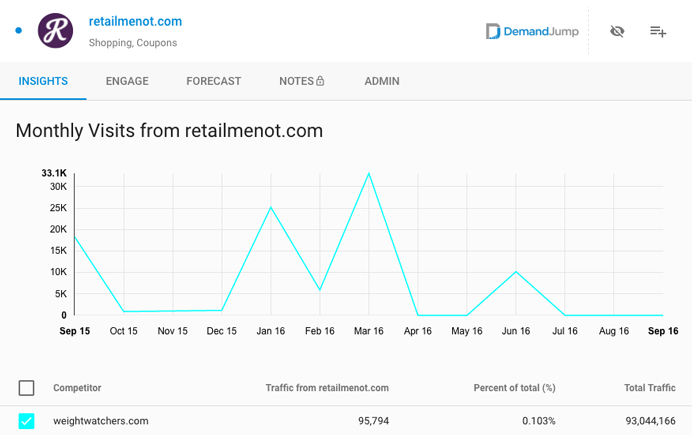 Our AIM (Artificial Intelligence Marketing) platform shows that blog websites are a critical channel in the first quarter for diet and exercise retailers. As eager exercisers begin crafting their new, healthy goals, they turn to the internet for advice, tips, workout plans, nutrition information, and much more. Brands that are present here (whether in the form of paid or earned content, or display advertisements) have a serious leg up on the competition—especially for consumers that are first-time or inexperienced with the industry. And, in fact, this is likely a more profitable customer with add-on sales. 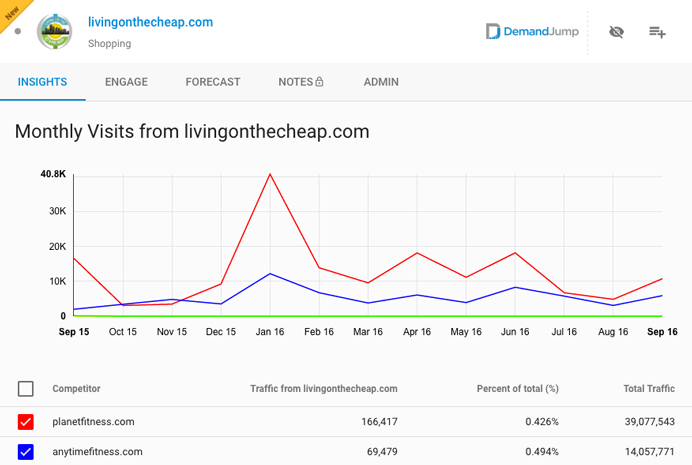 An example of a brand that is successfully leveraging blogs is Planet Fitness, who received more than 40K visits from LivingOnTheCheap.com in January, while Crossfit.com received 12K visits from Greatist.com during the same period. For diet brands, Weight Watchers and Nutrisystem have demonstrated they understand the power of blogs. Weight Watchers received 13K visits from SkinnyMs.com in January, and Nutrisystem received 14K visits from PopDust.com. As the power of social influencers continues to rise, blog websites will remain essential channels this year for brands involved in diet and exercise. Challenger brands who want to capture this health and fitness audience should build sponsored content and targeted ads into Q4 2016 and Q1 2017 campaigns. It’s not too late! Leveraging digital channels is a must for savvy diet and exercise brands. Structure campaigns across multiple channels, both on and offline. Reaching consumers via multiple touchpoints will keep diet and exercise brands top of mind and help get their unique message across effectively. It is important to pay special attention to Facebook. The data prove that it will be a major source of traffic and revenue for brands that can execute creatively and effectively. Affiliate websites will continue to be an important channel. Brands should get creative with deals to outmaneuver competition and bring in those subscriptions. Lastly, diet and exercise brands should stop starving blog sites and influencers. Potential new customers will be flocking to the Internet for fitness information come late December and January. Brands who have positioned themselves well will reap the benefits of too much turkey. There are plenty of opportunities for health and fitness providers in the months ahead. We'll be watching to see who is flexing their muscles and successfully capturing new customers.